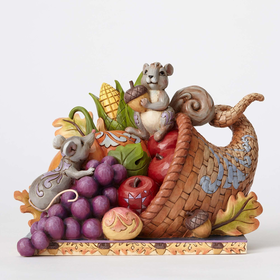 As you explore Coppin’s Gifts in search of decorative figures and ornaments, you will find that Jim Shore collectibles are among the most charming and beautiful designs available. 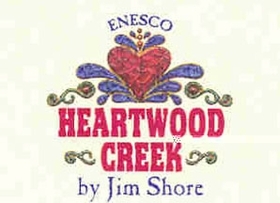 Jim Shore collectibles are available for a variety of occasions and interests, and they make exceptional gifts. 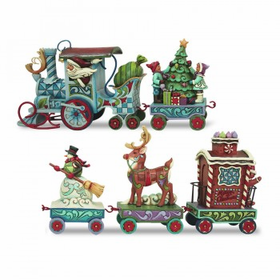 You can find Jim Shore figurines that reflect holidays like Jim Shore Christmas and Thanksgiving, and you will find Jim shore figurines that are representative of special interests, such as fairies and angels. Children especially love our Jim Shore Disney Traditions collection, which includes wonderful depictions of beloved characters and stories. However, there are many adults who enjoy the opportunity to collect Jim Shore Disney Traditions figurines as well. The series includes beautiful renditions of the popular Disney princesses. 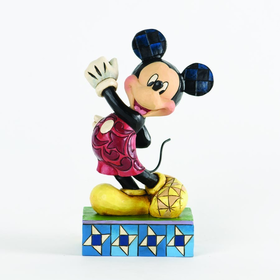 You'll also find many of the popular animated characters represented in the collection. Snow globe interpretations of favorite characters are charming. The variety of options makes it easy to find wonderful decorative accents for a child's room. 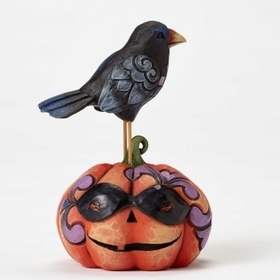 These beautiful Jim Shore figurines are also wonderful as gifts for the collector. Be sure to explore the latest releases from the collection at Coppin’s Gifts.